The Italian government has confirmed the ”full legitimacy of Libyan rescue operations” in the Mediterranean Sea in light of the opinion expressed by the European Commission that ”Libya can and must rescue immigrants at sea” and can therefore be considered a safe port. 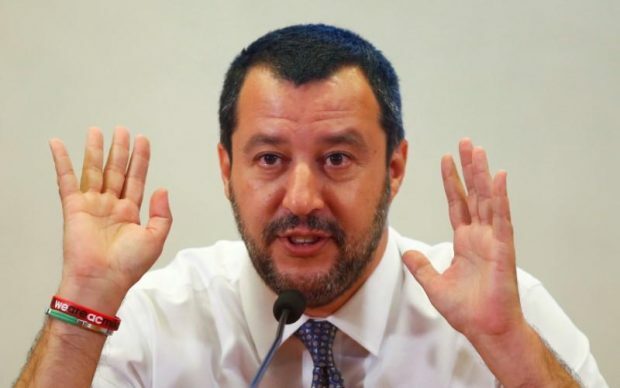 Italian Interior Minister Matteo Salvini has stressed the ”full legitimacy of Libyan rescue operations” as part of the directive on the surveillance of maritime borders and the fight against illegal immigration which was issued last week. Salvini said that the presence of the International Organization for Migration guarantees the respect of immigrants’ rights and at the same time faster rescue operations. The interior ministry said that Libya ”must be considered a reliable country where immigrants taken to the mainland by coast guards are safeguarded by the presence of IOM personnel.” The European Commission, the ministry noted, has also recalled that Libya has ratified the 1979 Hamburg Convention and therefore can be fully considered as part of the SAR plan managed by the International Maritime Organization. The ministry also said that the Commission has cited the successful operations carried out by the Libyan coast guard, which in 2018 rescued 15,358 people, taking them back to Libya, according to IOM data. Most of those rescued were taken to the ports of Tripoli (62 percent), Homs (19 percent) and al-Zawiya (11 percent), where IOM personnel is present.